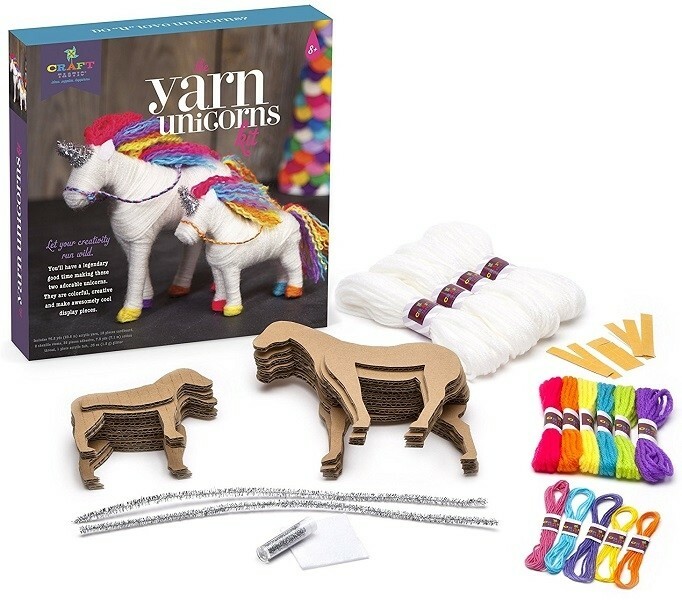 Create a pair of beautiful yarn unicorns with this kit from Craft-tastic! 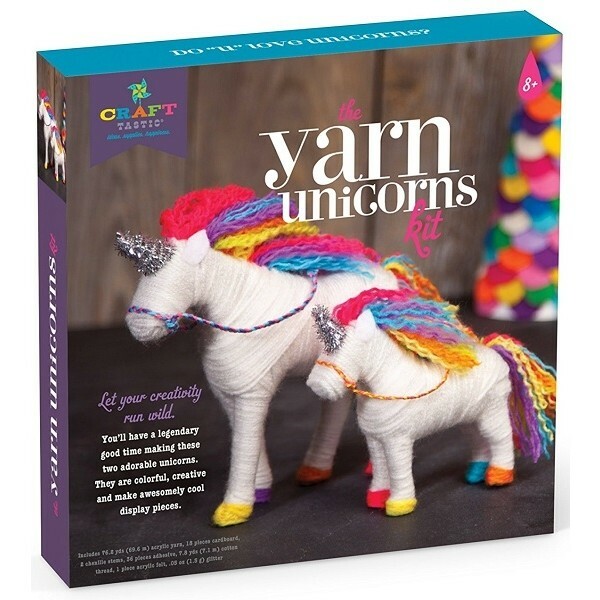 When you're done, you'll have two unicorns that are super colorful, creative, and a great craft for making room decor and display pieces. Easy, step-by-step instructions make it simple for new crafters to get started. This set includes two cardboard forms, acrylic yarn, chenille stems, cotton thread, felt, glitter, and adhesive -- everything you need. 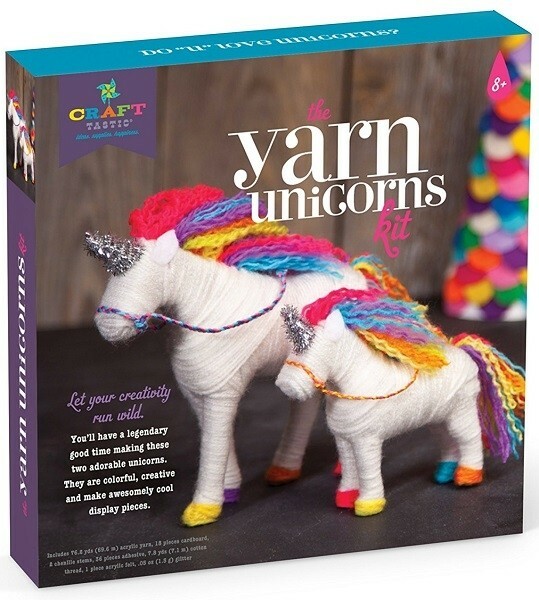 For more fun craft kits for all ages, visit our Craft Kit Collection.